Adorable Model-A and custom camper trailer!! Would I lie to you about something as cute as this? . 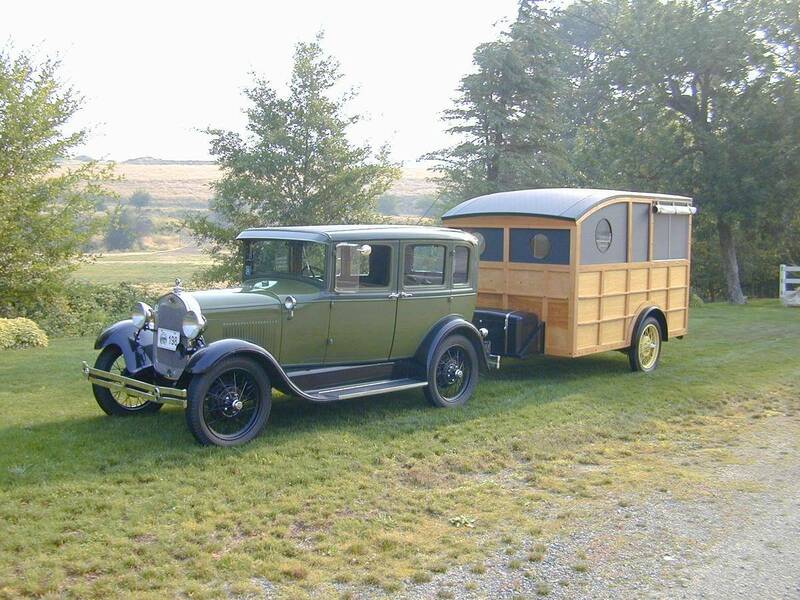 . . . .
Re: Adorable Model-T and custom camper trailer!! Cool trailer, even better automobile! Just for reference, that is a 1929 Model A Four Door Sedan, not a T. I had the two door variant (Tudor Sedan) in high school. Love the photos, Steve. Thanks for sharing. Yup, my mistake and indeed that makes it even more interesting! Too bad you couldn't hang on to that 1929 that you had back in high school!